Get your free Copper Roofing estimate in St Augustine! Copper features and roofs are works of art. 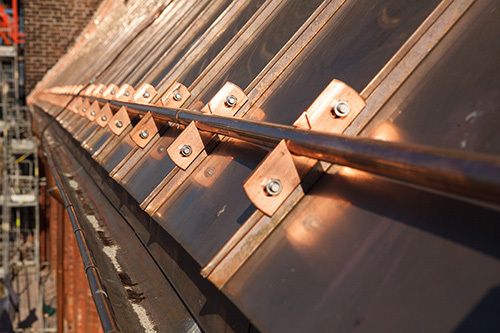 Our St Augustine Copper Roofing experts have years of experience complementing the beauty of the homes they’re applied to. This gorgeous soft metal, will mature with age, and bring new beauty to your roof as the years progress. It is long lasting, and will set your house apart from everyone elses in the neighbourhood. A beauty unmatched.